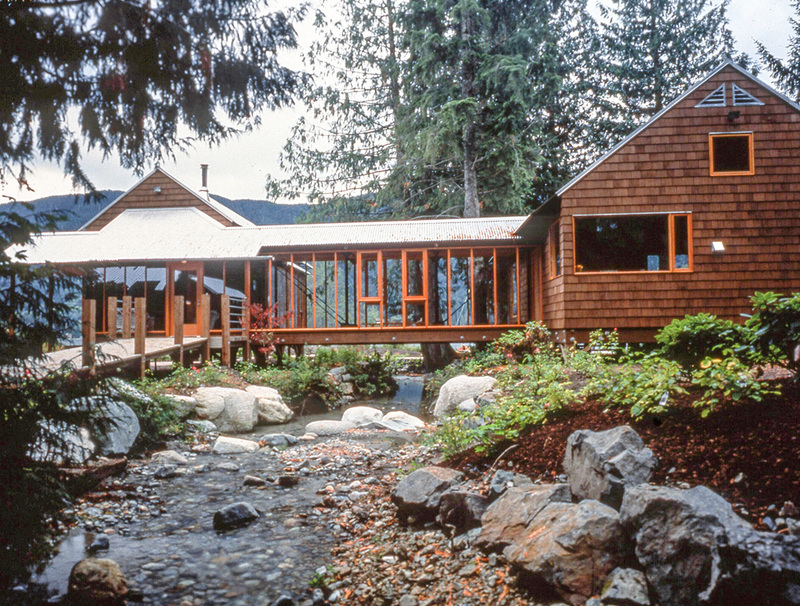 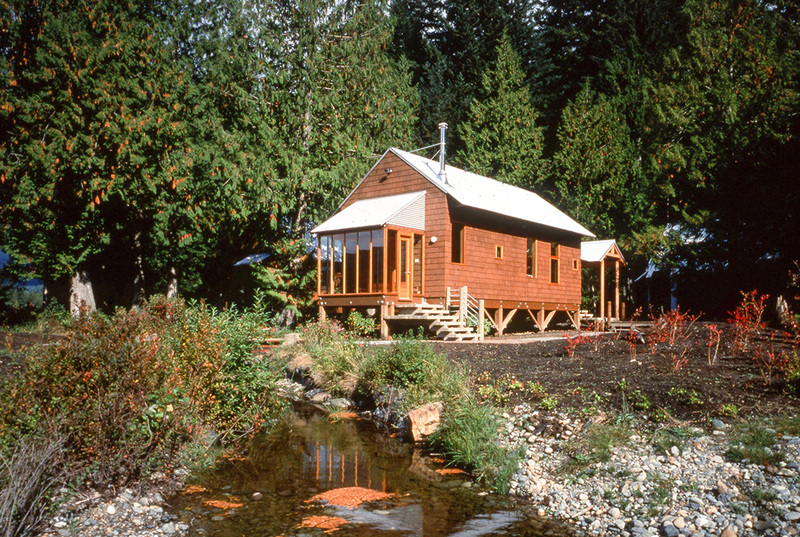 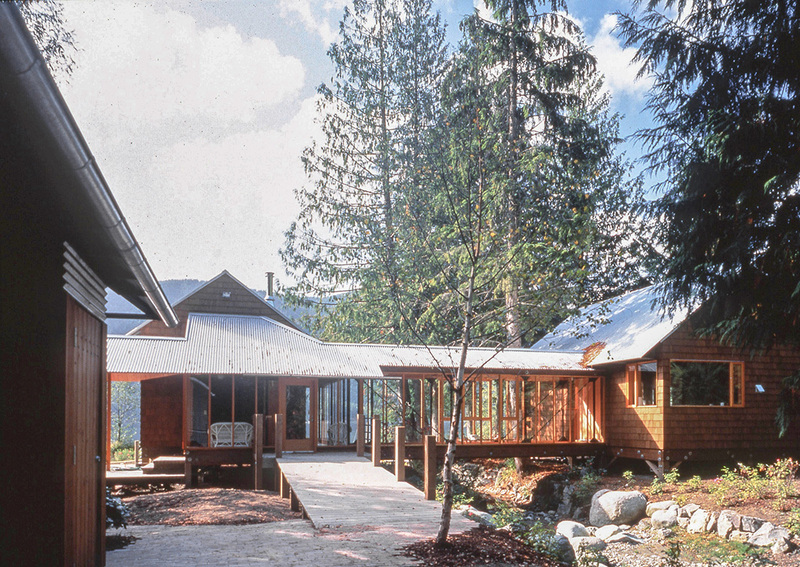 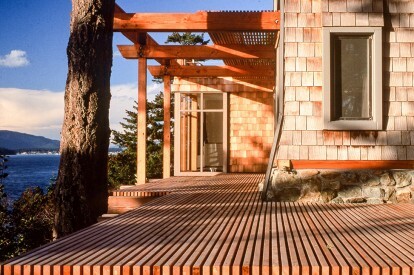 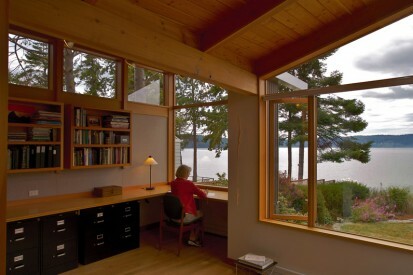 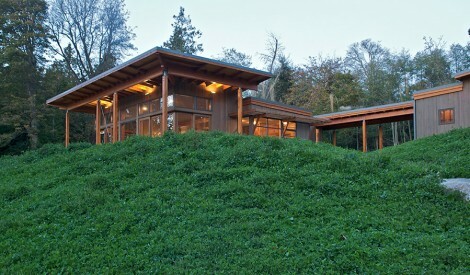 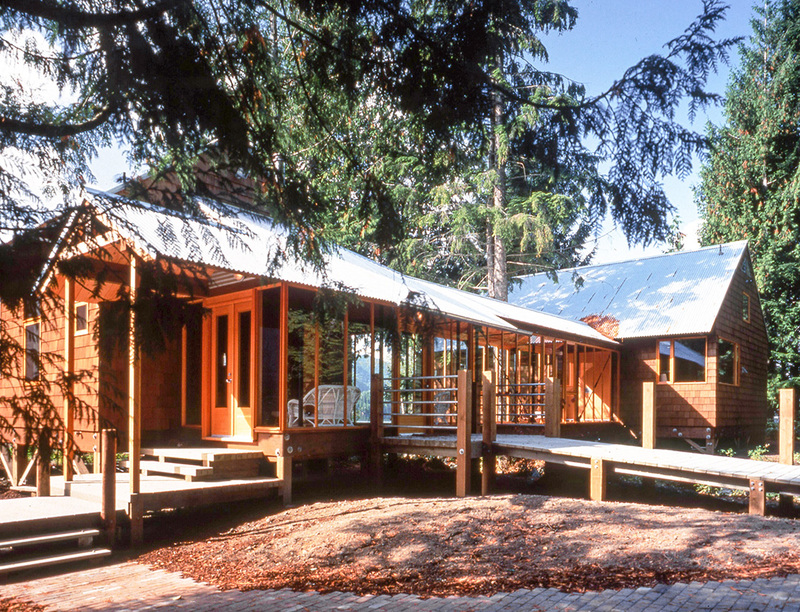 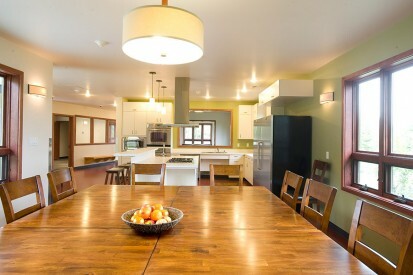 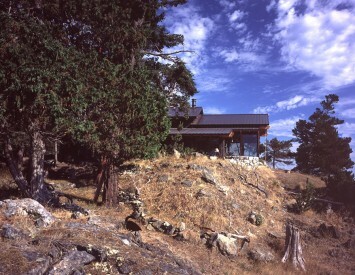 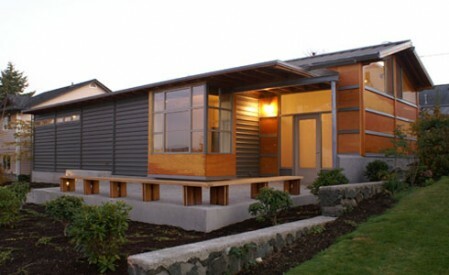 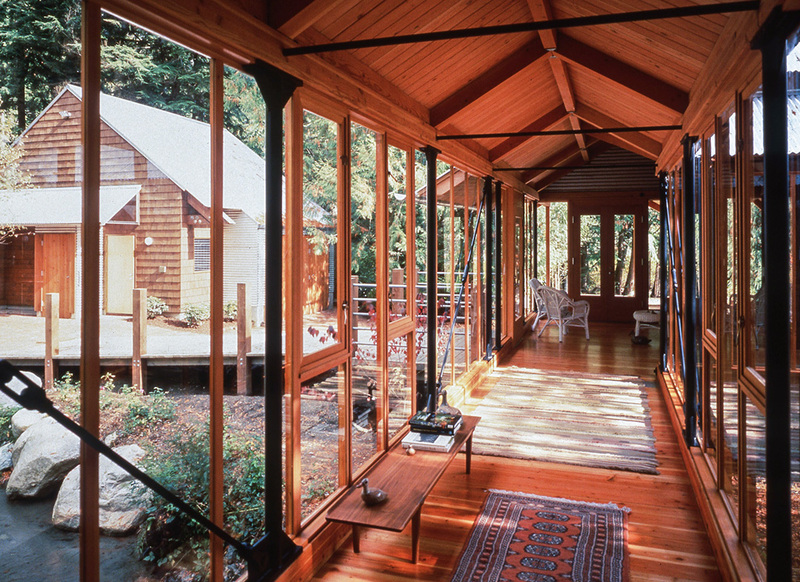 The house was designed as a summer vacation house and for occasional winter use on the shore of Lake Cavanaugh. 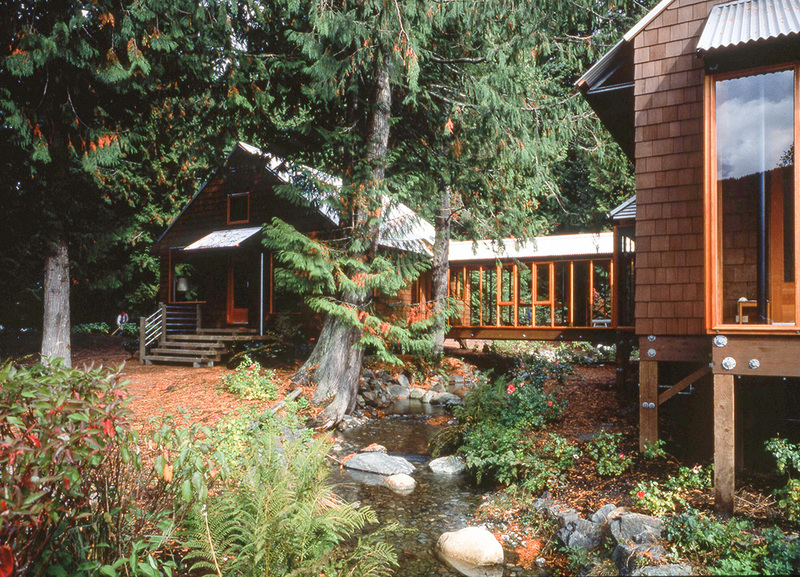 A small stream divides the site diagonally. 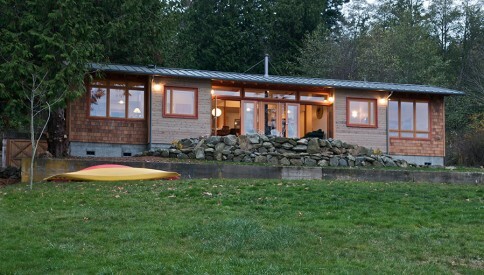 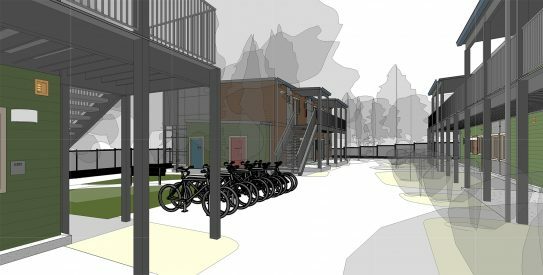 The house is raised on posts to keep it above seasonal flooding of the lake and stream.